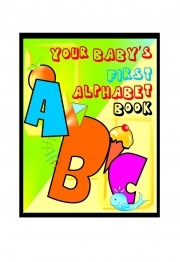 Description of "Your Baby's First Alphabet Book (eBook)"
This book is a early learning based Alphabet ebook for your kids. You can use this ebook as flash cards to introduce alphabets to babies older than 6 months. An eye catching interface with illustrations based on day-to-day life things/objects will help you to teach babies. This will make learning fun! Reviews of "Your Baby's First Alphabet Book (eBook)"